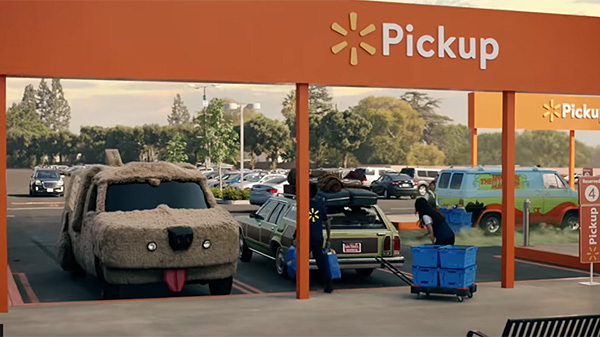 Walmart is using pop culture “cars” to promote its grocery pickup, a move many retail observers say will help drive home big gains in e-commerce this quarter. Walmart is pulling ahead of Amazon for online grocery shoppers, and I know why. You can get everything you need from your local Walmart – and there’s a lot of them – and either pick it up or have it delivered, depending on where you live. Amazon, which has a tremendous amount of adoption among consumers already, hasn’t figured out how to get fresh food to consumers in a meaningful way. One would have thought they’d get a leg up in fresh grocery after purchasing Whole Foods, but instead they seem to be chasing their tail with loyalty discounts and price perception. A study of online grocery shoppers by The Retail Feedback Group shows Walmart is pulling ahead of other outlets, with 33% of online grocery shoppers saying they’ve ordered from Walmart in 2018, compared to 26% in 2017. Amazon dropped from 36% to 31%, while other supermarkets/food stores increased from 24% to 26%. The consensus among retail observers is that Walmart’s grocery efforts are going to be even stronger in the last quarter of 2018, and into the first quarter of 2019, bolstered by the company’s aggressive marketing of its online grocery pickup and delivery options. And Walmart is bullish on its grocery earnings preview, too. Analysts expect a boost from grocery sales when it reports its fourth-quarter earnings on Feb. 19. Walmart’s online grocery ordering, and fulfillment have been the best experience I’ve tried out of all the retailers I’ve used. While I’ve not been thrilled with their general merchandise order and fulfillment online, grocery.walmart.com is clear and concise without being stripped down too far — unlike Safeway/Albertsons’ Randalls, which offers only a limited assortment of fresh foods online, and has a clunky and complicated navigation. Walmart also doesn’t charge a fee like other options, such as the 3% price increase tacked on my H-E-B, for example. A flat fee or minimum order makes more sense — as a consumer — than a 3% increase in price, which would discourage larger orders and encourage shoppers to buy only up to the minimum order threshold. And Walmart’s fresh produce picking has been superb, in my experience. I’ve had no nonsensical order swaps or missing items, perfect avocados and watermelons, and everything is picked, packed and ready to pick up in just a few hours. That’s not to say some of Walmart’s online grocery efforts have flopped. They’ve floated all kinds of delivery options, from having employees drop of orders on their way home to a failed partnership with third-party provider Deliv. For the most part, though, what they’re offering from their in-house solutions is serving them well. And for fun, check out Walmart’s latest campaign to promote grocery pickup. What is Walmart doing with small format stores? 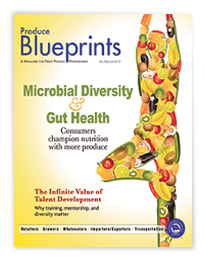 E-commerce: the enemy of produce brands?